Highly Self-dispersible white dry nanopowder-NEW TECH!!! Particularly suitable for use as lubricating oil additives, with excellent anti-friction and anti-wear effect. Nanoparticles (LaF3) Purity: >99.99%; The product composition: LaF3 with 90wt% and Alkyl with 10wt% on particles surface. 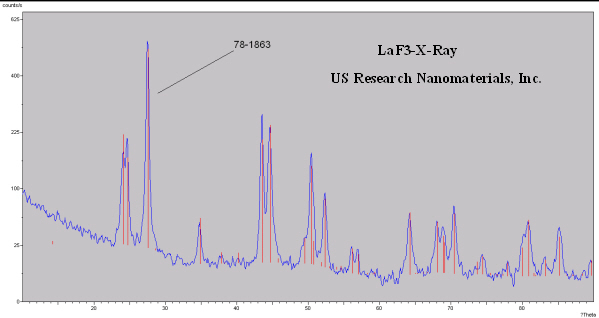 Nanoparticles (LaF3) Dispersibility: 96.40%. This value shows that the Laf3 in organic solvents has better dispersion property. 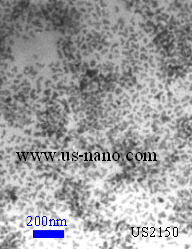 Nanoparticles (LaF3) Hydrophobic (°) ≥ 149. This value indicates that the product has a good hydrophobic lipophilic property. Nanoparticles (LaF3) Prepared by co-precipitation technology method. Surface modified by saturated alkyl. It has good stability in physically and chemically and can be dispersed in all kinds of lubricating oil medium.